7 in 10 Americans believe that abortion access should be legal. Our volunteers are members of the 7 in 10 pro-choice majority, passionate Americans committed to serving their community and making sure pro-choice values win at the ballot box. If this sounds like you, fill out the form below to learn about how to get involved as a volunteer with NARAL. 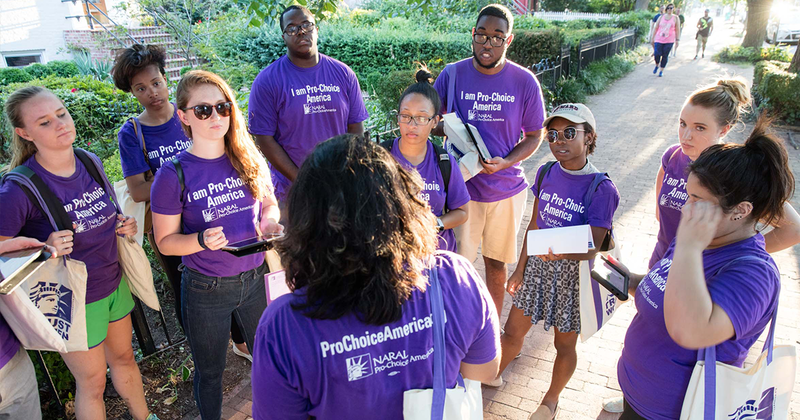 We'll let you know how you can help us fight back against attacks on choice nation-wide, and if you live in a state with a NARAL affiliate, you'll also receive information about events and opportunities in your area! Sign up to volunteer with NARAL now!